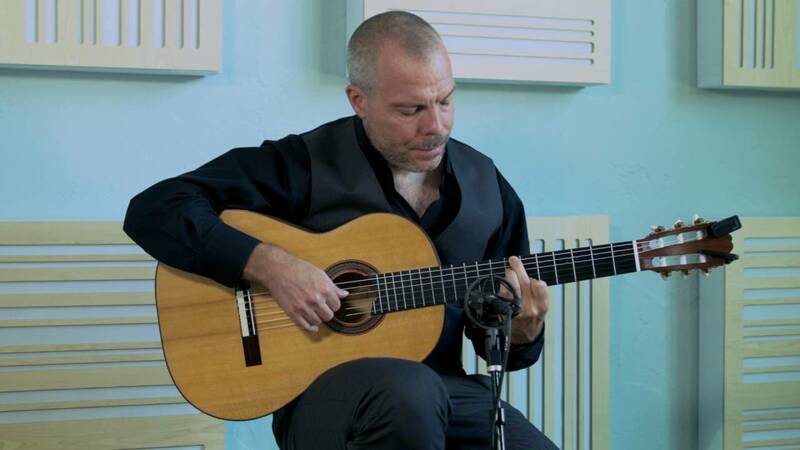 Martin Metzger is one of the most experienced and versatile guitarists in the Chicagoland area. Martin performs regularly for weddings, corporate events, house parties, restaurants, festivals, benefits, schools and other events. His playing style is both warm and expressive, creating an ambience that delights and enlightens. 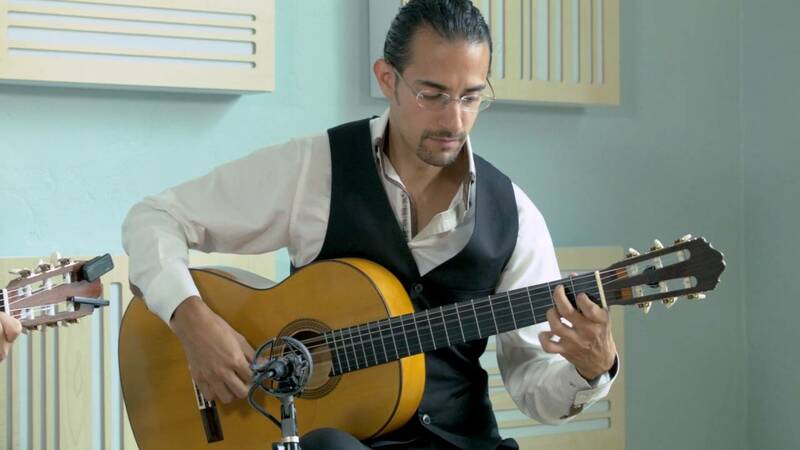 His musical tastes range from Flamenco, Flamenco Jazz, Rumbas, Brazilian Jazz, Latin Jazz, Classical to Pop music. Martin has been performing for over 32 years, and has played for over 1, 000 clients, with rave reviews. In addition to performing solo, Martin performs often with a second guitarist, a singer, a dancer and/or a percussionist . 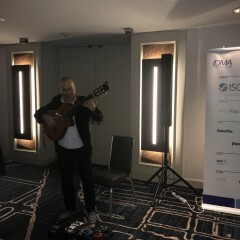 Martin was a true professional and played greatly for a welcome reception for our conference. I would recommend him for other gigs as well! Thank you so much, Amanda! Our musicians very much enjoyed meeting and playing for you! Feel free to reach out to us again, the future! Next time I will be there for sure! Until then, all the best!! All of my guests absolutely loved having Martin there! What a great addition to my meeting! I am so glad I found GigSalad and will certainly recommend this service to other meeting planners in my industry and will use them again at future events. Thank you so much for hiring us! We hope to see you again soon! You are fantastic! Thanks for the good review! Martin had to send a substitute, Hector Fernandez, who was fantastic for our event. Multiple people came to tell me how much better the event music was this year over previous years. I really appreciated Hector and Martin's professionalism in having someone show up. Our pleasure, Rachel! I have a number wonderful musicians to choose from. Being professional is essential for us! Glad to hear Hector did such a great job! Hope to play for you the next time! Many thanks! Thank you so much for having me come for your wonderful party! It was done with taste and style! You were all so warm and welcoming...and you really know your music! All the best to you and your family! Until the next time! Martin played incredible acoustic music for our company picnic at a lakefront park. Although we hired him last-minute he was able to locate another musician to play with him and customized the music for the event. Thank you so much for everything, Karen! Your party was absolutely top notch. Your coworkers were very friendly, interesting and interested...and the food was amazing! Hope to see you again down the road! All the best!! Martin was excellent. 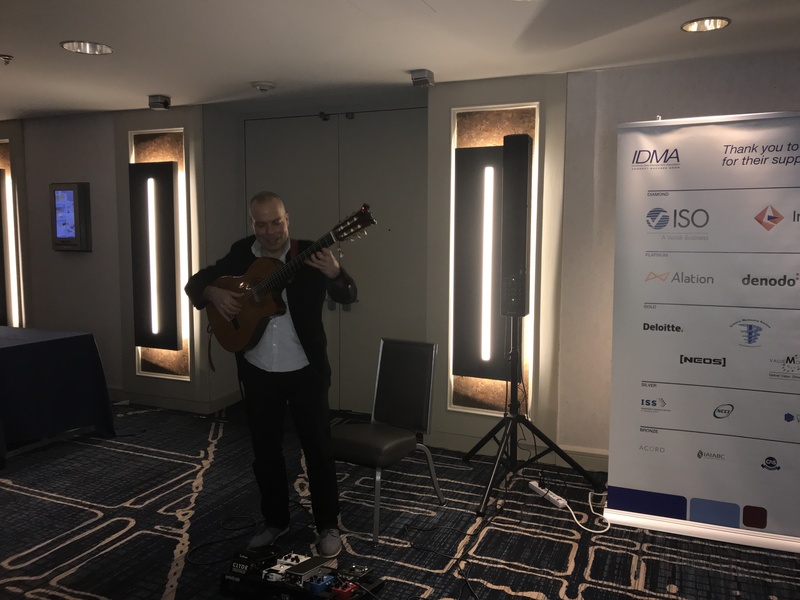 He brought life to our party with his flamenco guitar music. He was on time, very professional and carried a lovely smile throughout the event. Thanks for a making it a great evening! Thank you so much for the kind words, Lava! You all were so welcoming, positive and great to meet! Your party was so much fun! Such a great mix of nice people, young and old alike. Hope to see again sometime soon! Enjoy the rest of the summer! Martin is a total thumbs up. Not only is he very honest and thoughtful, he performed so great under the pressure of a big group of loud and crazy kids. He added the best dimension to my child’s 3rd birthday and I’m not sure who loves him more, the adults or the kids! Thank you gigsalad for being Martin to us! Awe! Thanks so much Jackelyn! You guys were so respectful and fun to play for! The kids were beautiful, having so much so fun! Let's do it again soon! All the best!! Martin and the entire Martin Metzger Flamenco Ensemble were great! We hosted them at our conference in November 2017 down at McCormick Place. Our conference attendees really enjoyed listening to them and seeing the ensemble's dancer perform. They provide a great positive vibe and are incredibly easy to work with and professional. I would highly recommend them! We're definitely considering bringing them back next year! Thank you so much, Marlee! We enjoyed performing for you and would love to come back next year! You all were fantastic to us as well! 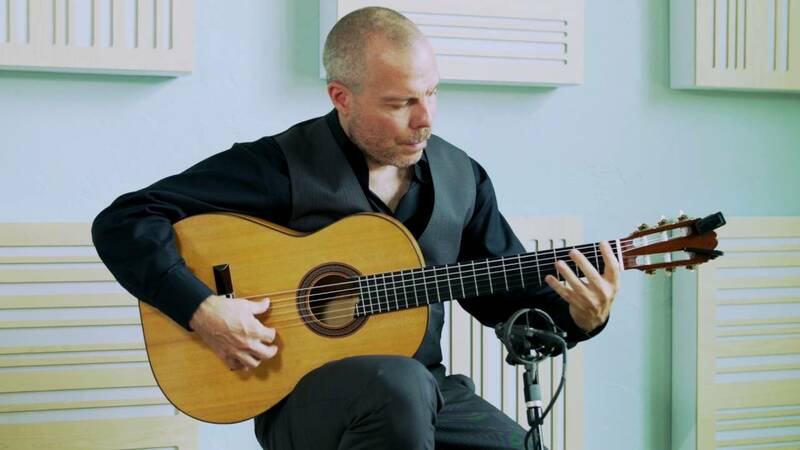 Martin Metzger is one of the most experienced and versatile guitarists in the Chicagoland area. Martin performs regularly for weddings, corporate events, house parties, restaurants, festivals, benefits, schools and other events. His playing style is both warm and expressive, creating an ambience that delights and enlightens. His musical tastes range from Flamenco, Flamenco Jazz, Rumbas, Brazilian Jazz, Latin Jazz, Indian, Middle Eastern, Classical to Pop music. Martin has been performing for over 32 years, and has played for over 1,000 clients, with rave reviews. Martin has traveled to Spain over 15 trips, studying with some of the best Flamenco guitarists in Granada, Sevilla, Cadiz and Madrid. In addition, Martin has a BA in Jazz Studies from De Paul University, and a Masters in Teaching from National-Louis University. 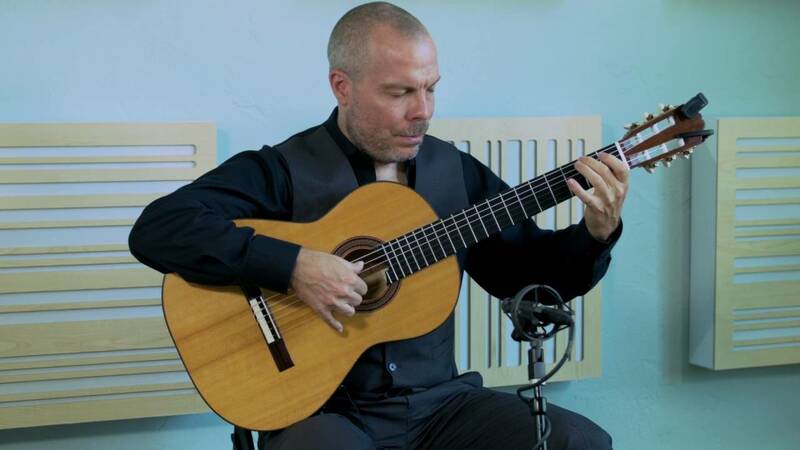 Martin is the Owner and Founder of The Metzger Music Studio and The Martin Metzger Flamenco Ensemble. In the later, he is joined by Patricia Ortega (voice), Marisela Tapia (dance), Diego Alonso (guitar) and Javier Saume (percussion). Martin performs with a handmade Marshall Brune flamenco guitar and the Fishman Sa220 PA System, offering the best in sound. In addition, Martin arrives 30-60 minutes prior to events, contacts the clients prior to meet any musical needs they may have. In addition, Martin provides a vocal microphone for speeches and announcements. Martin needs access two outlets, an armless chair and about 3-5 square feet of space. 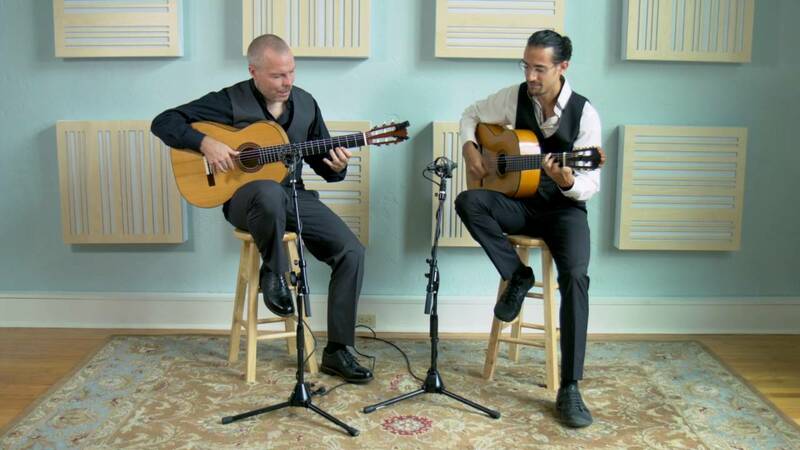 Martin performs with a Marshal Brune handmade blanca flamenco acoustic guitar. Martin also uses a Fishman SA220 Pa, and a Shure Sm58 vocal microphone, used for speeches and announcements. Sound is essential to a great atmosphere, and that is why Martin uses the best.